Identity management and IT service catalog workflow automation. Workflow Manager automates approval workflow for identity management, service catalog, group management, and governance requests. The IT Store makes user provisioning and access management like shopping online with the IT store. Our patented workflow approval system streamlines operations to eliminate delays and ensure access governance. In fulfilling requests, Identity Enforcer automates compliance, IT audit and other workflow controls. Identity Enforcer's automated workflow lets business users 'shop' for resources with management controls. 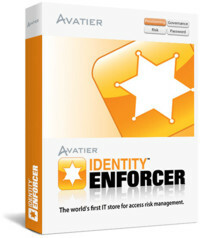 Learn about Identity Enforcer. Add self-service group management through workflow automation approvals. Group Requester lets business users request access to groups, while workflow automation controls group membership, cyber security and IT audit reporting. Group Requester automates workflow to enable self-service active directory group management and email distribution list management. It reduces enterprise risk by removing stale user accounts with inherited privileges. 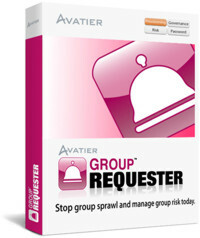 Learn about Group Requester. Compliance Auditor delivers access governance software with a built-in workflow system. It automates Identity and Access Governance (IAG) access certification and IT audit reviews. Compliance Auditor's workflow automation enables business users to add approvers during an access certification review. Compliance Auditor streamlines IT compliance management operations. It automates the fulfillment of governance risk and compliance audits. 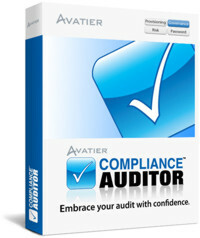 Learn about Compliance Auditor. Service Catalog uses workflow automation to add risk controls to request management. Using our patented automated workflow technology, it lets business users request services, access privileges, facility access and even assignments through a store. Service Catalog lets business users 'shop' for requests while automatically routing approvals. It provides complete visibility into a user account's information security risks. Learn about Service Catalog. Our unmanned administrator detects expired users and discovers abandoned accounts through workflow automation. Identity Analyzer acts just like a drone. Once installed and configured, it keeps you informed of disabled and user account security risks. The Identity Analyzer reports' engine run automated workflow reports when you want, as frequently as you need, and in real time. 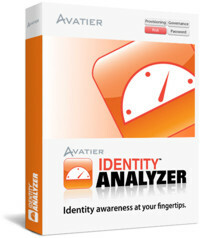 Learn About Identity Analyzer. Workflow Manager automates enterprise request management approval workflow. It routes and communicates service catalog, identity management, access governance and group management requests. Workflow Manager offers a mobile app with a touch interface to ensure approvers can take action at anytime. By automating approval workflow, Workflow Manager streamlines approvals while removing human errors, unnecessary delays, and over spending. Learn about Workflow Manager.